Although all-electric motorcycles are a relatively new development in the world of two-wheeled transportation, motorcycle manufacturers are quickly adopting the technology. Honda has an all-electric scooter in the works, and it is now confirmed that Yamaha is set to introduce two new electric bikes in 2016. The electrification of motorcycles is something that makes a lot of sense, and it shouldn’t come as any surprise that mass adoption of the new technology is happening in motorcycles before cars. Electric motorcycles tend to be much more reliable than those fueled with gasoline. A gasoline engine, for example, has many moving parts. An electric motor, in contrast, has only one moving part. This means that motorcycle enthusiasts can spend more time actually riding their bikes instead of working on them. It means no more carburetor tuning, no more oil changes, and no more complex machinery that may need frequent repairs. All-electric motorcycles also have more torque than their gasoline-powered counterparts. In a gasoline engine, more torque is created when the engine revs higher. An electric motor, however, realizes full torque from zero RPM to as fast as it will run. This makes for a different – and some say more enjoyable – riding experience than what a gas-powered bike can provide. The range that electric motorcycles can go on a full charge has increased dramatically in recent years with improvements in lithium ion battery technology. Most gasoline-powered motorcycles have never really gone very far on a tank of gas due to their limited tank sizes. Because of this electric motorcycles didn’t have to go very far to catch up. And caught up they have. It is due primarily to the maturing technology of electric motorcycles that Yamaha is introducing two new electric models in 2016: the PES2 sport bike, and the PED2 dirt bike. PES2 stands for Passion, Electric, Street. Pictures of the prototype (which will probably not be the final iteration) reveal a modern, clean bike that was obviously designed for high performance. Yamaha has not released information on how powerful the motor will be, but the bike is reported to only weigh 287 pounds, which is incredibly light. This is even lighter than a Kawasaki Ninja 250. A bike this light would not need a very powerful motor to realize excellent performance. PED2 stands for Passion, Electric, Dirt. Pictures of the prototype reveal a rugged, minimalistic dirt bike that looks like it could easily traverse just about any terrain you wish to conquer. As impressive as the extremely low weight of the PES2 is, the PED2 is even lighter. The electric dirt bike only weighs 220 pounds. Yamaha also claims that the PED2 will fit in the back of an SUV, making it very easy to transport to and from riding trails. Like the PES2, Yamaha has yet to release performance figures for the PED2. An interesting feature of both bikes is their automated transmissions. Yamaha has stated that its new line of electric bikes come with fully automated transmissions that can be switched from automatic to manual just by pushing a button or flipping a switch. Yet another interesting feature is the presence of hub motors on each wheel. This essentially makes the bikes two-wheel drive. The exact release date for the two new bikes has yet to be announced. We just know that it is sometime in 2016, which is right around the corner. 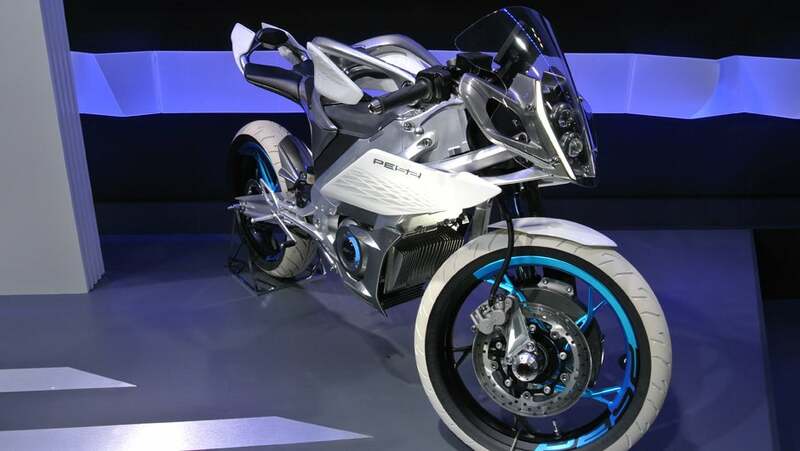 If the final iteration of these bikes look as good as their prototypes and perform well with decent battery range, Yamaha’s new line of electric bikes is sure to be a big hit with motorcycle enthusiasts. Google CEO and Chairman Sundar Pichai testified before the House Judiciary Committee in response to confirmed security breaches and perceived political bias throughout their platforms. And the proceedings seemed oddly similar to Mark Zuckerberg's hearing a few months ago. October can be a pretty scary month. But there's nothing scarier than having to dodge online scams. Fortunately, we've put together a comprehensive guide to all the online scams you need to watch out for this month. Alex Vanover is a life-long motorcycle enthusiast who enjoys riding his Harley-Davidson as often as the weather, his job, and his family will allow. His writing focuses on the automotive industry, renewable energy, and matters of sustainability in business. He is also the purveyor of the popular bike trading site: Motorcycle Trading Post.